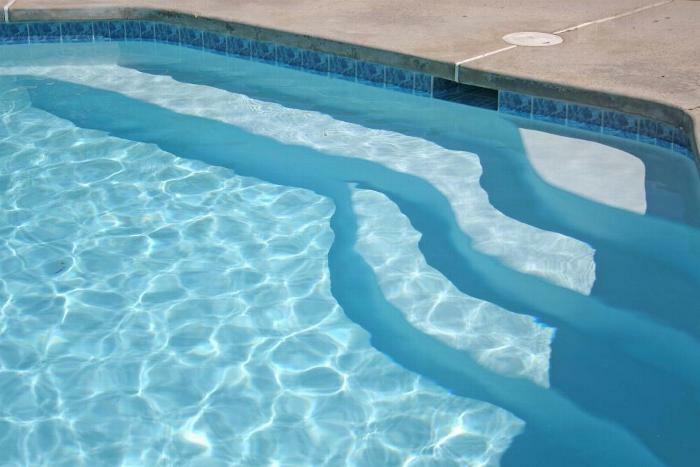 Bakersfield Pool Plastering's high standards of workmanship and quality products has earned us a trusted name in both residential and commercial pool plastering and renovation in Kern County and other parts of the State. Our knowledge and experience in commercial projects ranges from small commercial jobs to Olympic size competition pools. We recommend a White Quartz finish for commercial pools because they encounter more wear and tear as well as more chemical abuse than residential pools. White Quartz is a common choice for builders of commercial pools because its stronger and lasts longer than traditional white plaster.